Our liaisons are dedicated to bringing about a successful conclusion to this very complicated situation. We expect a number of unique procedures to be cleared. Your world is transforming swiftly and it is important that the flow of funds quickly manifest. Many are ready to put a resounding end to the old ‘divide and conquer’ agenda and begin a steady march toward a new global resolution. We observe that your growing consciousness is being exercised in innovative and wondrous ways. Old beliefs are being expunged and a new reality is starting to manifest. It is in this consciousness exchange that we find hope for your unique and ever-growing realities. The dark’s power continues to shrink as the world retreats from war and forges ahead toward a new global peace. Recent attempts by the dark to create a war have failed. The tide is unquestionably turning toward the Light. A global plan for peace is beginning to take hold. Many more surprises pertaining to peace stand poised in the wings, as one treaty after another approaches agreement. All of this is being carried out in a state of divine grace and with a true measure of divine mercy. 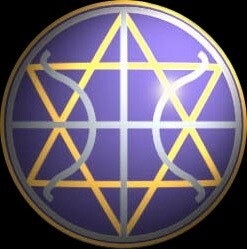 We sincerely thank all who are implementing their sacred visions to encourage its actualization. Greetings! We are your Ascended Masters. We arrive today to continue our discussion on the power of grace that continues to grow. The new energies cascading through Gaia’s new grids are empowering each of you to use Heaven’s Law of divine grace to enhance your life, and your connections with one another. It is a sign of the strength of your newly emerging collectives. This new age mannerism explains the rise of equality and non- judgment that will become the norm in your new, ever-growing reality. The old limitations of separatism are being replaced by groups who come together to express this new broader meaning of grace. This growing egalitarianism is teaching us just how broad-based these new and friendlier ways can be. It is important at all times to work with each other within the sanction of divine grace, as the purpose is to align your desires with the flow of the Divine.